Hailing from Germany, Jimdo is a brainchild of a team of dedicated developers who managed to implement above average commerce features. However, it is far from being perfect whenever you need to create a blog or a business card website from scratch. Jimdo obviously lacks well-designed templates. Their quality is average if compared with Wix. Although the platform offers a free plan, it includes only a limited number of templates. Once you crave for more professionally designed layouts, prepare to pay. Styling also looks pretty average with a lack of editing tools unless you are aware of how to code. The last but not the least is that Jimdo is not actually a drag-and-drop website builder. Wix and uKit come as a better alternative offering a wide range of professionally designed free templates. Alternatives to Jimdo: What Are They? 1. Wix delivers a huge selection of free professionally designed templates related to various fields. Whether you need to launch a blog, a commercial website or a digital store, Wix boasts a selection of easily customizable templates with a natural born drag-and-drop feature. No need to code anything. Editing is very easy even for newbies. 2. uKit is a cheaper option compared with Jimdo. Pro plan will cost you not more than $12 per month including a free domain and hosting. Jimdo’s business and platinum plans are $20 and $30 respectively. This fact makes uKit a much more cost-effective solution and one of the cheapest premium-quality website builders on the market. Considering the above-mentioned, Wix and uKit come as a better alternative to Jimdo offering cost-effective and more flexible tools to handle the creation of any website type from scratch. Let’s have a closer look at what Wix and uKit can actually offer. Pricing – Wix offers a free plan while premium account with a free hosting and domain will cost you from $8 per month. 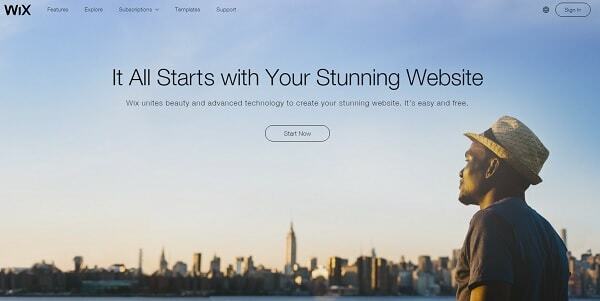 As a result, we have a relatively cheap and versatile website builder for different purposes. See also: Wix vs Jimdo Comparison – read our deep research about Jimdo and Wix differences and similarities. Pricing – probably this major uKit benefit makes it a better alternative than Jimdo. It provides different plans. The price ranges from $4 to $12/mo including free hosting and domain. It is even cheaper than typical Jimdo business plan. Once you have a limited budget but still need a handy website building tool, uKit is certainly the one to choose. Jimdo has proved to be a solid website building platform with some good features. However, it obviously lacks flexibility when it comes to editing web pages. It is rather expensive and lacks a selection of FREE professional themes and templates. Jimdo is less versatile and mainly focused on e-commerce websites. On the other hand, we have good alternatives in the face of Wix and uKit. They look more flexible whenever you need to create any type of website. They offer advanced SEO features in addition to blogging tools. They provide a free access to a wide range of free templates despite the plan you choose. 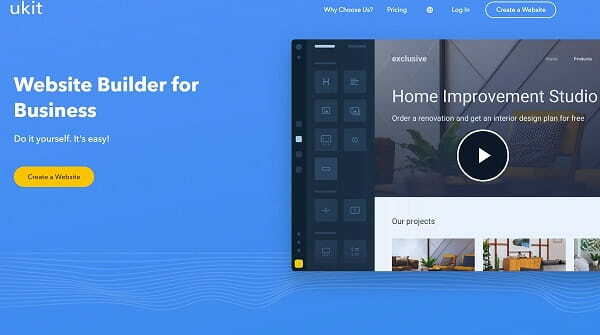 While Wix looks like a more versatile solution for webshops, blogs, and landing pages, uKit is probably the most affordable software to build websites from scratch within a couple of hours.